Its been an event filled few years since embarking upon the professional diving path late 2012 when the local dive shop invited me to join a rescue diver course. I had no real desire to become a scuba instructor then, my focus was diving for crayfish and abalone driven by my hunter gatherer interest. I had been a certified diver with PADI since 2008, but had made many dives prior from my initial experience in 1994 with a Cairns based dive operator diving Michaelmas Cay. It was this adventure that captured my attention to scuba, strong impressions and deep currents coursed within and I had be caught in the enchanted spell of the ocean. My passion and my love for the sea and its creatures have forged a life time relationship. The instructor path seemed a good fit for me, I liked the company of other divers and the enjoyment of being instrumental to a new diver. Being a scuba instructor has been a wonderful journey. I have gained many friends and a treasure of experiences along the way. It’s encouraging when I see a diver I have taught enter and exit a dive with smiling confidence and share their dive story with enthusiasm and passion. I’ve never settled for mediocrity. Challenge and reward are my constant passengers. The technical diving curiosity and a few good diving related books ignited the ambition to seek further training and experience while researching the various nuances of deep technical diving. As I pursued this developing passion I donned a new side-mount diving rig to add that subtle complexity to my technical training. I am now a technical side-mount instructor along with being a technical deep instructor teaching divers accelerated decompression diving to 50 metres / 165 feet. My training was over a number of months and in three locations, Menjangan Island Bali, North Stradbroke Island, and Adelaide dive sites. Some tec divers complete the final training dive on our navy wreck Ex HMAS Hobart as it represents sufficient challenge and run time to deliver skills requisite. The Hobart is an Adams class guided missile destroyer 133 metres long resting upright in just over 30 metres of water purposely decommissioned and scuttled as diving wreck. It is great preparation for international dive destinations like Chuuk Lagoon, Bikini Atoll, Tulagi Solomons, Santo Vanuatu. If you want the best out of these diving extravaganza’s get some tec training and spend some more time on the wreck sites. I have been to Chuuk twice now and plan to go again in 2018. The diving there is spectacular with the wrecks ranging in shallow depths to trimix levels. I find this type of diving and the setting of WW2 an alluring attraction for the budding tec diver. The challenges of teaching a quality tec course to a student are many and varied. I have a series of books that I like to give as back ground reading for each student. Stories around the sunken cruise liner Andrea Doria are quite compelling and educational. Deep Descent, The Last Dive, Shadow Divers, Setting the Hook are quite engaging and intriguing when it comes to diving accidents and fatalities. As one of my tec students replied, “it teaches you how not to die”. I like to commence courses with a fairly informal getting to know each other forum of discussion relating diving experiences and how tec diving sparked interest. When possible and practical have a non-training dive to assess the level of in water skill and confidence. Attitude plays a fairly big role, tec diving is not for cowboys shooting from the hip or for the loud over confident type. Essential traits are; humility, open-mindedness, analytical and competence. You cant know everything, listen to others ideas and viewpoints, realistically evaluate technology and procedures and be confident in ability and fluid in methods. When I can have these ideals in the course, we can get a lot more out of the theory and practical and develop a team diving concept. Delivery of theory content is administered in classroom with open discussion encouraged. Addressing misconceptions and fostering progressive thinking around techniques for problem solving and evaluating diving scenarios grants insight and understanding of student knowledge and experience base. The feedback becomes part of the education loop where Instructor and students can work together in developing the tec diver mentality and cognitive skills. Confidence and competence to logically analyse and instinctively problem solve are essential to survive threatening diving scenarios. 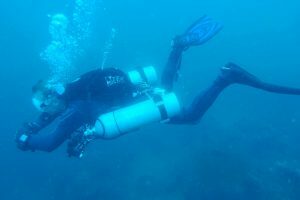 Being able to respond deliberately from a solid mental map and execute accordingly with fluid and calm motor skills prepares the diver for a variant range of adverse diving situations. We cant foresee every plausible incident, but we can have personal and collective resources to respond in a manner most appropriate. Confined water sessions are invaluable for setting up gear configurations. Twin back mounts are usually fairly straight forward however side-mount needs thoughtful hose routing, tank connection and bungee systems that are suitable to course requirements. The various S-Drills, line and equipment handling skills along with trim and buoyancy are practiced and instinctive responses are learnt to handle problematic scenarios. Time in the ocean to review and consolidate skills and the world of tec diving begins to distill and form in the mind and motions of students. The embarkation to dive beyond previous recreational limitations provokes sound processes of thought, planning and execution. Just like the planning of a deep technical dive, the future goals and aspirations of tec students should weigh in the balance of training. It’s the role of the instructor to discern, direct and meter training appropriately. Too much too soon can have some bitter consequences and I don’t wish to have those haunting “if only” questions plaguing my conscience. Every student is unique as is every course in its outcomes. The process of delivering a tec diving course requires patience, empathy, vigilance, method, consideration and a positive, present application of acquired diving intelligence and know how. We all profit together as I learn how others learn and how I might improve on my delivery and tuition. My goal is to see divers reach their goals, all being sensible, practical and achievable. I’m still excited and passionate and still learning and continuing my own education. Tec Trimix is in my training schedule. I can only teach to my own level of diving and even with the re-breather market bubbling away there are divers that want the deep open circuit progression. The tec diving market is not big in comparison to the recreational market, but it is growing and good tec instructors are retiring. While there are students who desire tec courses I hope to share the knowledge I have gained and meet the needs of divers who want to go deeper and further into the blue abyss. This will be my sixth dive trip to Bali since 2013 and it still rates as my top all round dive destination for new divers to get experience and fall in love with the ocean. There’s deep wall diving, drift dives, wreck dives, stunning coral gardens proliferated with myriads of critters to view and snap. The macro life is as beautiful as it is extensive in shallow to deeper waters whether you’re hunting nudibranchs, ghost pipe fish, pygmy sea horses, mandarin fish or ribbon eels amongst the host of other radiant sea life. Larger creatures range from turtles, manta’s, sunfish, titan trigger fish, blue spotted rays, large conga eels and banded sea snakes. Must see and dive locations are far north sites like Menjangan Island with its walls covered in gorgonian fans and coral gardens teeming with clown fish of all sizes and variety. There’s a cave with electric clams, frog fish are abundant and you can be buzzed by dog toothed tuna who play like dolphins darting about. Between east Java and Menjangan is a massive array of garden eels as far as you can see in the 60m + viz. Pemuteren is home to beautiful dive resorts and the world recognised Bio Reef. Electrically charged steel sculptures with stainless mesh cathodes create abundant oxidant conditions for coral. 2 metre plate corals have emerged in under 5 years which is over twice the average rate of growth. 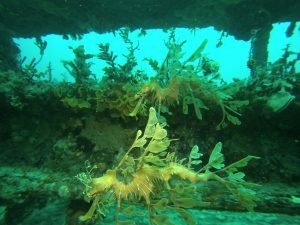 There’s also some local muck dives sites like Secret Bay which despite the rubbish in the water is home to sea horses, giant worms, octopus and many other macro critters. Tulamben on the N.E. coast is the USAT Liberty Glo WW2 wreck. Suffering torpedo damage it was towed and beached to recover cargo. Local volcanic activity distressed the wreck and it slipped down the beach to rest on its starboard with stern in 5-8 m and bow at 30 with the slope gradually disappearing. Residents on the wreck include huge turtles, giant conga eels, giant bump-head wrasse along with the usual and strange macro critters like orangutan crabs and banded cleaner shrimp. The Drop Off hits 70m before the slope takes you further in to the blue abyss. Here at 25m is the largest fan i’ve seen at beyond 3m across indicating 30+ years ocean age. Above the wall is a plateau 8-10m deep with lots of coral activity including lion fish, clown fish and even a white tip shark or two lying under a plate coral next to the wine garden table placed for divers to share a photo. Lying amid these two sites is the lush coral gardens and temple site again teeming with fish life. Large anemones accommodate several species of clown fish with some cleaning stations nearby with busy cleaner shrimp. If you neglected to clean your teeth or just want a quick scale pop by and allow these fastidious critters access for a new stunning smile. Keep an eye out for ghost pipe fish, eels and some mantis shrimps on the ascent up the slope. The local food can be enjoyed along the main drag. Directly across from Tulamben Wreck Divers you can enjoy good cuisine and hear local music then stroll down to the “Safety Stop” a good spot for a night cap and a game of pool. Southern dive sites are usually accessed from Padang Bay and include local dive spots Mimpang, Tepekong, Shark Cave, Blue Lagoon to name a few local. We stay just up the road at Candidassa in the Bayshore Villa’s and Apartments 4.5 * accommodation and just 15 min from Padang Bay. Our first few dives will be at Manta Point, Nusa Penida for some Manta’s and if we leave early enough some Mola Mola [Sunfish]. These amazing creatures [sunfish] grow to 3 tonnes and can be over 3 metres in size. They’re pretty shy and will usually retire to the depths once they sense too much diver presence. It’s now [at time of writing] peak season for these gentle giants. The Manta’s can be spotted at an around the shallow cleaning stations at Manta Point. They’ve become accustomed to divers so the easiest way to get close is to maintain a stationary spot with camera ready near the large “bommy” and experience “fly-by’s” as they swarm and hover in the mild current. There aren’t words that can properly convey these moments of encounter with the “bat’s” of the ocean. All I can say is; these are defining moments of scuba diving and fit right up there with the most surreal and glorious events in most divers repertoire of momentous events. Crystal Bay is known for its stunning visibility of 60 plus metres on a good day. The slope increases as it plummets over 90 metres into a deep ocean channel. The corals are amazingly vibrant and lively. Octopus and banded sea snakes inhabit the gentle slope with large tree shaped coral homes spawning tropical reef species. An occasional turtle meanders by and schools of blue fusiliers frequent the busy coral outcrops. One of my memorable dives was on the northern side of the island at at site called Ped. A brilliant drift dive where you just jump into the lazy current and ride effortlessly while scanning the coral slope for critters. There are large “bommy’s” and holes that home all sorts of nudibranchs, sea horses and banded pipe-fish. Watching 2 banded pipe-fish perform their courtship ritual is a rare sight of spectacle and beauty. The nights are warm and balmy and food and culture draws you to the local restaurants and bars. Evenings in Candidassa are always fun and eventful with some new local beverages such as Mango Margarita’s and Watermelon Mojito’s being a huge hit. I love Bali as a dive destination. There is still so much left to explore. It really is a dream location for divers. Bali dive trips never cease to impress as all round fun and flocking in beautiful waters with fabulous and stunning reef, wrecks and adventures. Our final day in Candidassa can be spent doing some land content, and what better way than to grab a scooter and visit the Water Gardens, some Temples and maybe a market or two. 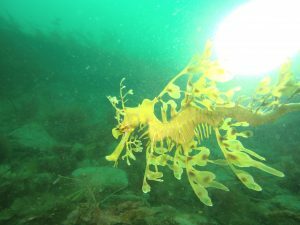 The iconic Leafy Sea Dragon is South Australia’s marine emblem common to our coast line. Leafy Sea Dragons (Phycodurus eques) are exquisitely camouflaged and belong to the same family as seahorses and pipe fish (Syngnathidae). They are found either solitary or in pairs moving slowly in sheltered water relying on their elegant camouflage to protect them from predators. Like seahorses, it is the male Sea Dragon that carries the developing eggs. The breeding season runs from October to March, and males develop a ‘brood patch’ on the underside of the tail that consists of cups of blood-rich tissue, which each hold an egg. The female transfers around 120 eggs into these pits; the eggs are then fertilised and carried by the male for about a month. Hatchlings emerge over several days and are initially only around 10-20 mm long. They are extremely vulnerable to predation but grow quickly, attaining adult maturity in about 2 years. Sea Dragons feed on small organisms such as plankton and mysids by sucking them into their tube-like snout appearing somewhat like sneezing. 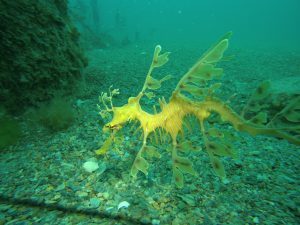 Our most visited dive sites for encountering the Sea Dragon are Rapid Bay and Victor Harbor. Approaching these delicate creatures should be with minimal water disturbance using good buoyancy and trim so they are not stressed. A sudden sweep of the hand or fin can damage their frail appendages so it is imperative to maintain good water conduct in their proximity. They are quite camera shy and will turn away from lights insomuch that the front portrait facial view is almost impossible to shoot without strobes and soft focusing lights. Should a Sea Dragon sense intruding danger they will move away and possibly up into the water column and in flight mode can stray out of the gentle water into strong surge and current to their detriment. Hence you will mostly find Sea Dragons ebbing and flowing in quiet sheltered surroundings. Every Sea Dragon has distinctive facial markings that give them unique identification. They are quite territorial rarely venturing a few meters from their familiar surroundings. The majestic Leafy Sea Dragon has captured the attention of the dive community and divers come from all over the globe to behold and photograph this most unique and mystical creature. Divers Delight promote and facilitate diving tours to visit Leafy Sea Dragons regularly and accommodate divers with a seasoned dive guide, required gear and transport to sites. 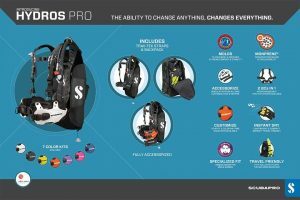 On a recent dive trip to Bali I was fortunate enough to don the new Scubapro Hydros Pro BCD. As it comes with a separate webbing harness [without the integrated weight system] this was my choice for warm water diving with minimal weight. The two rear trim weight pockets were ample for 1-2 kg each, although I didnt require any lead in my 2.5mm wetty. 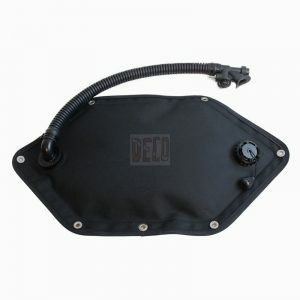 Its light to wear down to the dive sight and fits snug and well streamlined while diving. The monoprene back-plate moulds and adheres nicely and stops BCD movement while in any position under water. 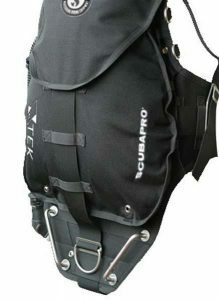 The rear lower dump is on the left akin to the Scubapro Tek range with the improved inflator hose on the left shoulder. The wing is neatly bungeed and provides 40lbs lift. Two shoulder D-rings and left and right at the hip provide adequate attachment. There’s a couple of neat attachment points integrated to the top harness connection for bolt-snaps. There’s also the option to add a crotch strap for those technical dives. All round great design, without clutter, and feels great in the water. My score 8.5/10 ….I’ve not dived in a better single backmount BCD. Side mount diving originated in the UK resulting from early wet cave exploration beginning in the 1930’s. Using scuba was a natural progression although there wasn’t any real intent to develop a side mount diving system and kit, it just came about out of practical necessity and good old fashioned innovation as divers discovered caves with tighter restrictions with the need to have your tank and breathing apparatus streamlined and easily accessible. 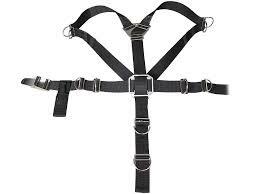 Maybe that’s why we have quite a few variations of harnesses and wings with myriads of attachment systems and features in today’s modern side mount systems. 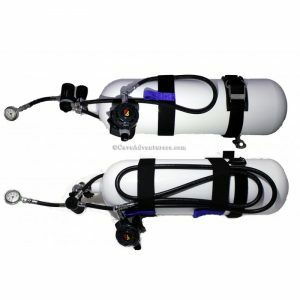 Most of the dive equipment manufacturers have developed a dedicated side mount system, some have even built a hybrid to accommodate both back mount and side mount.  There are three main parts to side mounts. The harness, the wing [inflation] and the rigging of tanks and regulators. 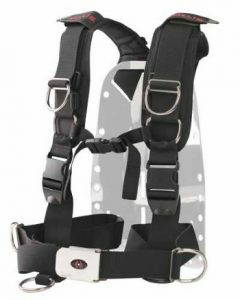 The Harness is composed of 50 mm webbing with varied snaps, keepers, D-rings and attachment points either naked or a solid or soft back plate. The wing or the buoyancy device is usually modular and adaptable to most harness systems via webbing or bungee attachments. Buoyancy wings are manufactured in various shapes and sizes for individual application and requirements. The rigging of the tanks and routing of regulators is where it all comes together. This is where it gets personal for the diver as components and equipment are arranged and attached to a specific configuration pertinent to the type of diving. Some like gauges up in sight, others like them running down the tank. Hose routing always goes down the tank first and bungee’s neatly with 7′ long hose on the right tank and wing inflation hose on the left tank. Both second stage regulators with 90-120 deg elbows. Some adapt the twin rear mount concept of routing hoses around the neck and the left regulator on a neck bungee. 1st stage up or down, left and right tank valves are also preferences for each diver. Cylinder attachment to harness and bungee retaining the top or neck are commonly via cam-band and single end bolt-snaps with top connections loop bungee or hard connections of many variations. The next step is practical application with some in-water tips and instruction from a good side mount or tec side mount instructor. While the internet and forums have lots of ideas and alternative concepts for side mount diving, some time with a solid and reputable instructor will be invaluable . Choose an instructor who actually dives in a side mount system and has done plenty of in-water time developing and honing their own skills and delivering quality courses. Dedicated side mount divers are popping up in most diving locations but more specifically cave divers and deep technical divers are trending towards the associated benefits of side mount systems for penetration dives with tight restrictions. 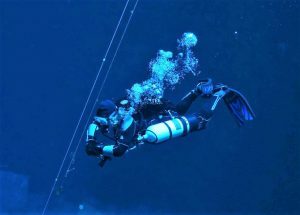 The E-CCR market has even developed a side mount Rebreather using the left tank as diluent. With most instructional agencies and dive shops getting on board your transition to side mount scuba diving will have you trained and kitted up for longer and even deeper diving expeditions exploring beyond the gas limits of a single tank. 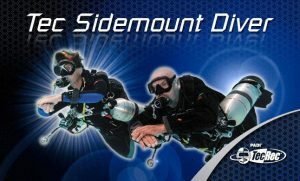 Visit your local dive store and discover side mount scuba diving.